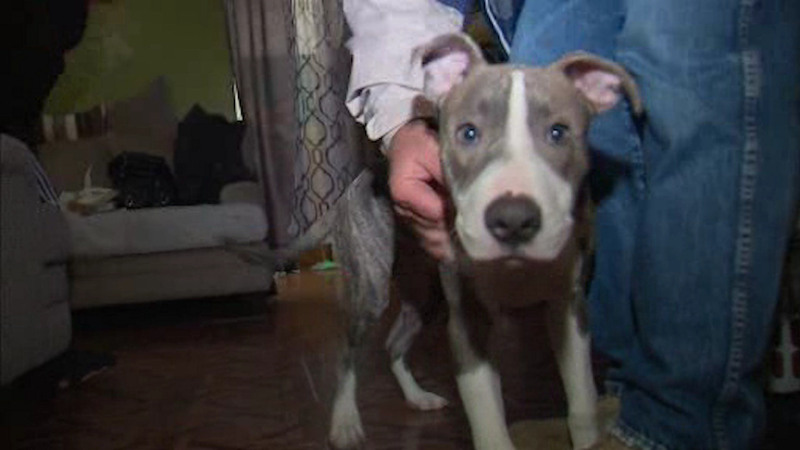 RED HOOK, Brooklyn (WABC) -- A pit bull puppy named Apollo is credited with saving a teenage girl from being raped in Brooklyn. The 18-year-old was walking her dog in Red Hook Stadium Park Monday night, when a man approached her from behind, grabbed her and threw her to the ground. Police say as he tried to remove her clothing, the teen's 5-month-old pit bull bit the man on the leg, causing him to run away.